The word 'sampuṭa refers to that place where precious jewels and other valuable stones are carefully hidden from the vision of people. 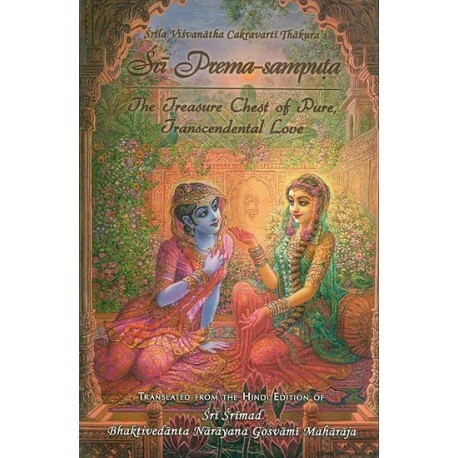 The illustrious Gauḍiya Vaisnava acarya, Srila Visvanatha Cakravartī Ṭhakura, has revealed the unnata-ujjvala prema (pure transcendental love) in Śrī Radha's heart, which is likened to a treasure chest, and protected it in the box in the form of this book. 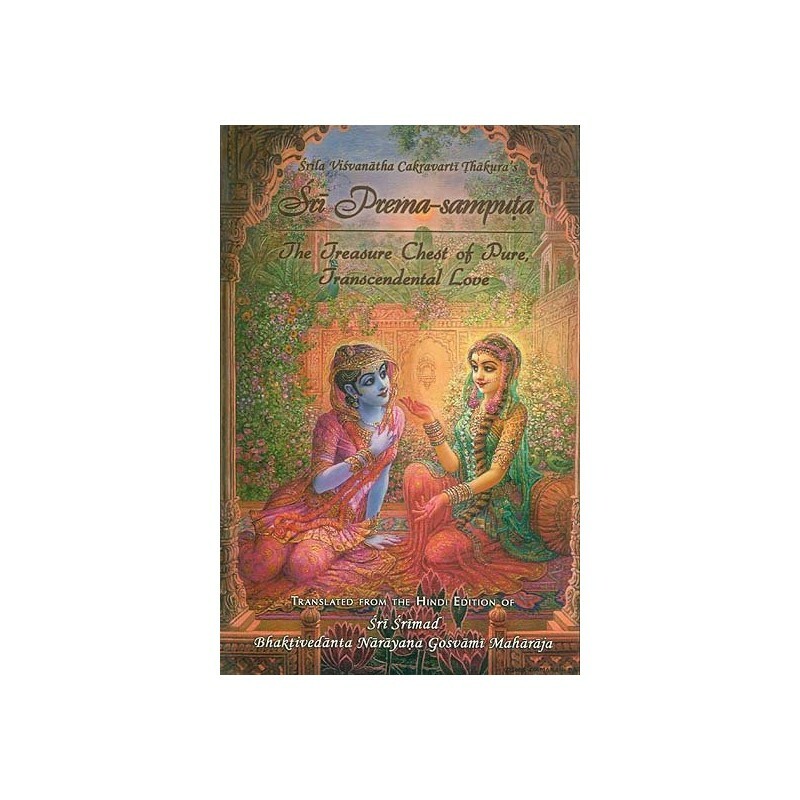 Therefore, the name of this book is Sri Prema-sampuṭa. Early one morning, Vrajendra-nandana Śrī Śyāmasundara, the unrestricted carefree enjoyer of rasa, disguised Himself as a young woman of heart-stealing beauty and went to the courtyard of Śrīmatī Rādhikā. Covering His lotus-like face with a crimson veil, He appeared before Her, His eyes bashfully lowered. Within His heart, He yearned to hear of the excellence of Her love for Him and the inferiority of His love for Her. Pages and Size : 65, 8.5" X 5.5", Illustrated.